How can I attend summer camps, volunteer for political campaigns, or learn more about government through Generation Joshua? 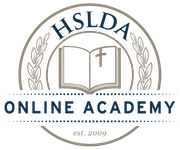 Founded in 2003, HSLDA's Generation Joshua has been at the forefront of assisting parents in raising up a new generation of young people to become Christian servant leaders in America. If you're interested in becoming an informed American citizen and an active member of your community, then Generation Joshua is for you! GenJ Clubs: Students can join or form a club to meet monthly to pray for our nation, carry out civic and community duties, and be ready on short notice to be involved in campaigns for pro-family, conservative candidates. Civics Education: Students can supplement their iCitizen Live course by taking online, self-paced unit studies that cover the Founding Fathers, Revolutionary War Era Sermons, Founding Documents, the Constitutional Convention, the Federalist Papers, political campaigning, and other exciting topics! iGovern Leadership Camps: iGovern provides leadership and character development opportunities through real-world crisis-management simulations, team-building challanges, and daily corporate chapel. Student Action Teams: Every year, Generation Joshua sends out hundreds of student volunteers to support conservative political candidates across the nation. Leadership Corps: Young adults, ages 19-26, can join Generation Joshua's Leadership Corps to volunteer at conference events, assist in leading and mentoring local Generation Joshua Clubs, help organize Student Action Teams, or serve as camp counselors for the iGovern camps.